I expected the film E (Fly) to release on my favorite drive-in theater, where I can watch the movie on the big screen, but the diwali release Vallavan was running there till Thursday. Reason to watch this film was the expectations from the director Janathan who gave a beautiful nature (Iyarkai) which won a National Award, with a different love story with the backdrop of ship’s and beaches. Another reason was actor Jeeva, I impressed by his acting in Raam. Me and dad left to drive-in last evening, it been first show in that theater, when we enter, there was only one car was parked and there were only 20 cars when the film starts. The Film E has a global problem of spreading bio-war. The film has Jeeva (E), Nayantra (Jothi), Ashish Vidyarthy (Doctor Ramakrishna) and Pasupathy (Nellai Mani). Jeeva who acts as a slum grown youth called E, who was valiant to do anything for money. Jothi who was a bar dancer, come to the slum where E lives. E acts like helping her and do some cheating; when Jothi comes to know about E’s character, instead of hating, she makes love on him and try to change his character. Ramakrishna is a doctor who tests the medicines, which was banned by International pharmaceutical companies, on the poor and uneducated and earns millions from foreign companies. Already a person called Nellai Mani who knows the Dr’s cruel plan and trying to kill him. In the Dr.’s test jothi’s sister was killed and E’s grandma was sick. In this situation when nellai Mani was trying to shoot the Dr., E save the Dr and police arrest the Nellai Mani. So Dr. fixes an amount to E to kidnap Mani from police and kill. Unexpectedly when Mani was wounded by the encounter E act like saving him and hide in a place, and bargain with the doctor. In between he sings, dance and do small small cheating and anti-activates… did E kills the Nellai Mani, or did Jothi changes E in her love! Or what happen to the Dr and his test… are remain. Jeeva has lived in his role as Slum rowdy; his speech activities are really like a slum guy. Negative roles done by a hero is rare in Tamil films; Jeeva took this in brave to show his acting skill. Karunas act as Jeeva's friend, he did acting scene instead of comedy. Mixing the liquor on the tender water for not feeling the pain while getting beat form police, hanging a black board on his neck and walking on the road towards police station in bare body, are different. Nayantra looks hot in the bar dance sequence and come in top, skirt through out the film. Her advice made jeeva to get angry and it also make him to think. Some of his cheating turns into positive to nayantra views. It was sin when she gets beat on the rolling wood from jeeva. In the song Orea Murai they shows the dirty E in a beautiful face with beauty Nayanthara, Thirpoori Parakum is local kutthu…the background music by Srikanth Deva was nice. It was like we visited our nearest slum! Bloody bodies in mortuary and stitching the tissue, shooting, some naughty words, abbreviate our face. I doubt how they give U certificate for this film, which was not suitable for children. It was very comedy that for killing Mani, Jeeva brings a big grinding stone from a cemetery. The place the Mani was hiding remembers the lighthouse, which comes in Iyarkai. When the doctor tells, like chinkengunya, malayaria we can also spread the bad virus in the environment and kill the people, through this test. This message on the film was can’t imagined. The end was interesting to know the Dirty E fly’s to clean the county. In the recent days peoples interest on listening Radio’s have increased. Back days hearing to Radio was very bore for me, but now it was a good entertainment for my ears and mind. In the old days the people in chennai woke up by hearing M.S.Subbalakshi’s famous devotional song cowsalliya supratha rama poorva…. I used to get ready to school by hearing the advertisements in Radio from the nearest Teashop. We can tell that from last 4 years radios have reaches every corner of the city, because of private stations jump. When Suryan FM of Sun Network put foot on the Radio, they introduced many programs relater to films by covering people by giving them chance to dialing and ask their favorite songs and there intro of Ooresuthalam vanga is a program where the RJ’s visit a location every day and meet people directly and make them to talk in the radio and give information about that place, was a nice program and also my favorite one. They also not even leave the kids, there was a program where the kids call and talk. 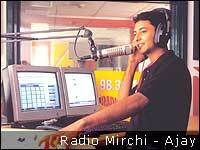 When Suryan was going like this, the enter of Radio Mirchi attracts by “It’s Hot” waves. If Suryan was attracted people by its different programs, Mirchi attracts people by its young talented and humored voice of the RJ’s, it also move very fast with us. “Hello Chennai” the voice of Suchitra’s is the best welcome of the day for others and me, wow! what a wonderful voice she have. The prank speech of her makes the show more interesting. She discusses variety of topics every day and people call her and share her thoughts and there experience of the topic. As it was live, she tell some of the important incidents and news in between happening in the city and the traffic update in morning and evening was very useful for people driving vehicles. 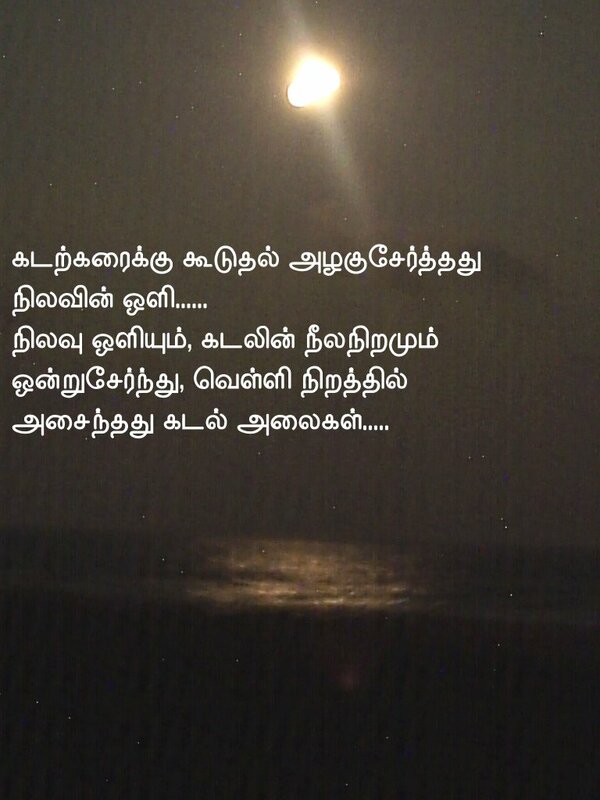 If I dint tell about our “Joot Ajai” this post will be waste; Ajai an excellent RJ, who has a good sense of humor and some times his Chennai Tamil was very funny, his voice of telling Joootttaaaaaaaaaaa…. turns our attention towards the radio. If some other RJ’s join with ajai the show will be more attractive. These Radios also giving free passes and tickets for newly released film and music programs whoever call them and win some contest, some days back they went further and auction the dresses were the actor Surya used in his film Silunu Oru Kaadhal to collect funds for a charity. This week was very hottie because of Matter Manikam, who is taking actress Namith in his Auto (just a imagination), today is Sandhya and tomorrow is who? This show brings much laugh in me, its pure funny show. If u r in chennai just listen to matter manikam and enjoy. In the recent days there were some more FM stations have open in chennai the Daily thandhi started an FM called “ Star India’s “Radio City” and Reliance’s “BIG”. Now there is a healthy contest between Radios and selecting RJ’s (Radio Jockey). The situation brings more talented people before us as RJ’s. Some of the RJ’s worked on different stations have moved to new ones, and the VJ’ of the televisions also went on the air (I mean on Radio’s). There are many reasons have said for them to move, like expecting more salary, giving importance for their talents. I am happy to tell, that my Friend and our co-Blogger Reva was RJing a program Vayaraga on Hello FM 106.4 on weekdays form 9 to 11.pm. She was very kind to put my favorite song on her program last week, if any one has time just listen to her show, she tells much information! The searching for the RJ’s with new and different voice is going on… between the stations. We can hear the Radio in every teashop, petrol bunk and small shops, the FM’s have become a gracious gift for the Auto drivers, all autos have radios, which go on running. If we go on the ECR, we can hear the sounds of Radios esp. the Radio Mirchi rocks the most in much car’s, and It makes me to reduce listening to CD’s and cassettes while traveling, because all latest and old songs are relay by these radios. The information they give on this shows are very good. Esp. 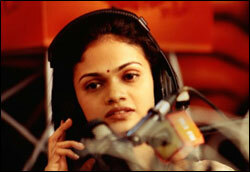 in this cool monsoon time in chennai, listening to these Hot Radios’s is really very warm. Settled on the Blue shore. Form the sea, on my face. And the Green filled sand. Adding beauty to the evening. On the seas blue color. Holding her hands, a soothing feel! Inlay our foot, in the wet sand. Is this Me? Is this Me? Have I admire on me? Is this true? Is this true? Did I dissolve in the air? I my life…. there is no colors. Did I admire on me? Have return again to me. Chest hair, mole of love. Did I fare on me? Abut with it, and include! In your hips and sleep! Grown the life for u! Last night as I was calling my friend Razick (who was in Thirunelveli), surprisingly his mom received the phone. I haven’t expected her voice, when I introduce me, she was very excited, it sounds me like wow. I feel her happiness in her voice; she kindly talked with me and enquired every one in my family. Talking with her was like we were familiar for years, not like first time. She said: She was in a doubt that would she see me or talk with me, but I hope now by seeing my photo, which I sent it with the Ramzan Greetings, and taking with me now would satisfy her.